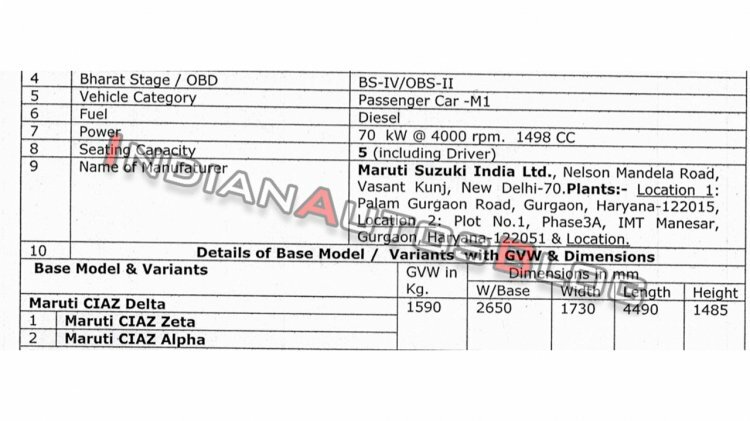 IAB has got its hands on a document that leaks the specifications of the Maruti Ciaz 1.5L diesel ahead of its launch this month. 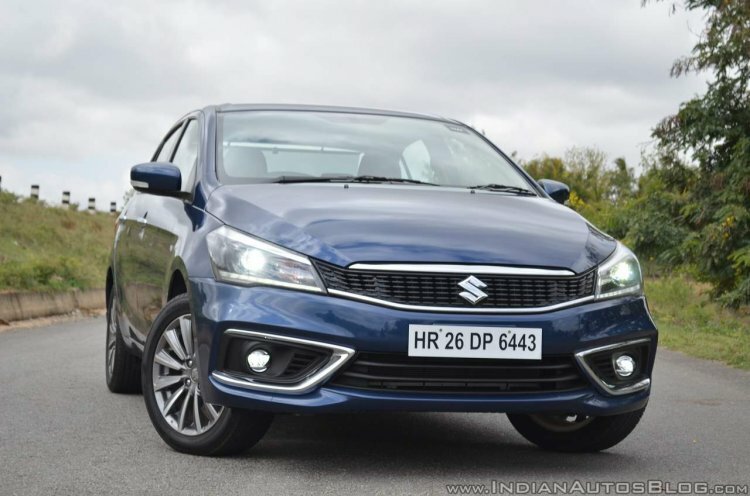 The E15A 1.5-litre diesel engine of the Maruti Ciaz will carry 'DDiS 225' branding and come paired with an all-new 6-speed manual transmission - a first for a Maruti Suzuki. The Maruti Ciaz 1.5L diesel uses an all-new in-house developed engine that is future-ready. This engine produces a maximum power of 70 kW (95.17 PS) at 4,000 rpm. Reports have said that it will deliver a maximum torque of 225 Nm at 1,500-2,500 rpm. It will come paired with an all-new 6-speed manual transmission - a first for a Maruti Suzuki model. Of the four grades, namely Sigma, Delta, Zeta and Alpha, reports have said that Maruti Suzuki will restrict the bigger diesel engine to only the Delta, Zeta and Alpha grade. This document also says the same. The company won’t offer a mild-hybrid system in the configurations fitted with the 1.5-litre diesel engine. Even without assistance from an electrified system, this engine, branded ‘DDiS 225’ after its maximum torque rating, will return a good fuel economy of 26.82 km/l. By the end of next fiscal (April 2019 - March 2020), the 1.3L diesel engine option will cease to exist, as it won’t get an upgrade to meet the BSVI emission norms that become effective on 1 April 2020. The newly developed 1.5L diesel engine will get upgraded to comply with the more stringent emission norms close to the deadline. The D13A 1.3-litre diesel engine option will continue to exist in the Maruti Ciaz until the BSVI rollout gets close. The Maruti Ciaz in the 1.3L diesel Delta configuration costs INR 9.80 lakh (ex-showroom Delhi). The 1.5L diesel Delta configuration may retail at around INR 10.50 lakh (ex-showroom Delhi). Select dealerships have already started accepting pre-bookings, albeit unofficially.